I finished these a few days back but haven’t had a chance to post until today. 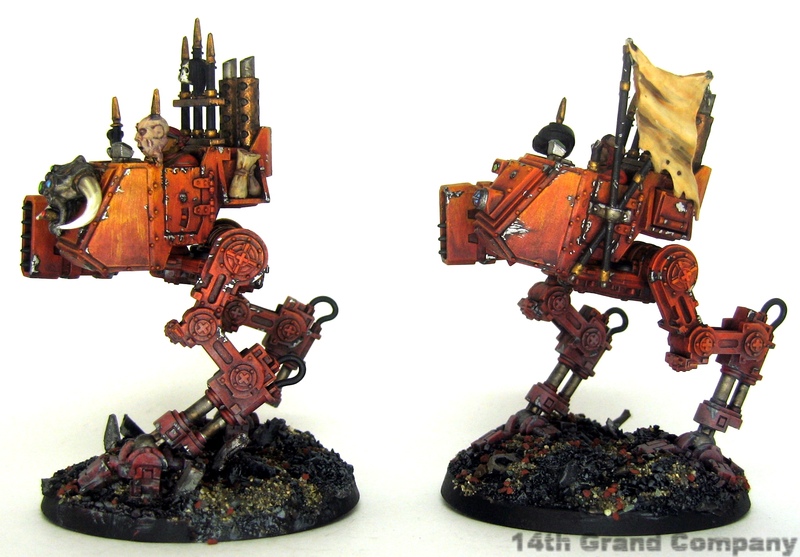 These are two more sentinels for my traitor guard army but scout versions armed (currently) with missile launchers. the biggest conversion done on these is removing the roll bar and adding some spiky bitz. The banner is from the WFB flagellants from the Empire range. 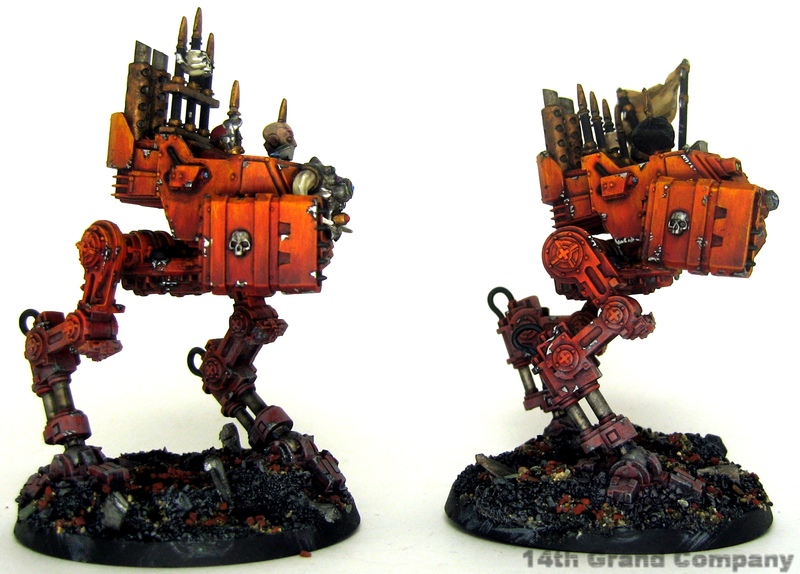 The missile launchers are magnetized in case I decide multi-lasers or auto cannons are a better choice. 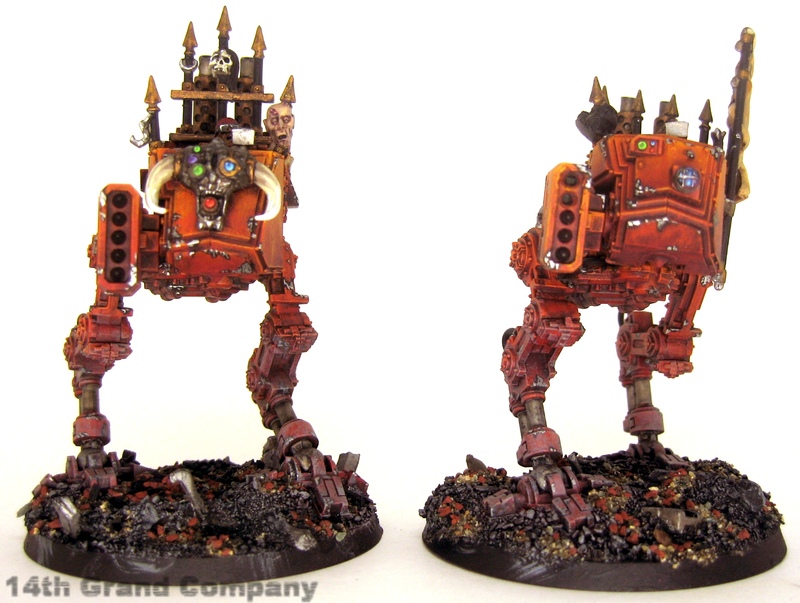 I doubt I will mount lascannons as I have 6 of these on heavy weapon squads and having only bs 3 I would rather have multiple shots or blast weapons. 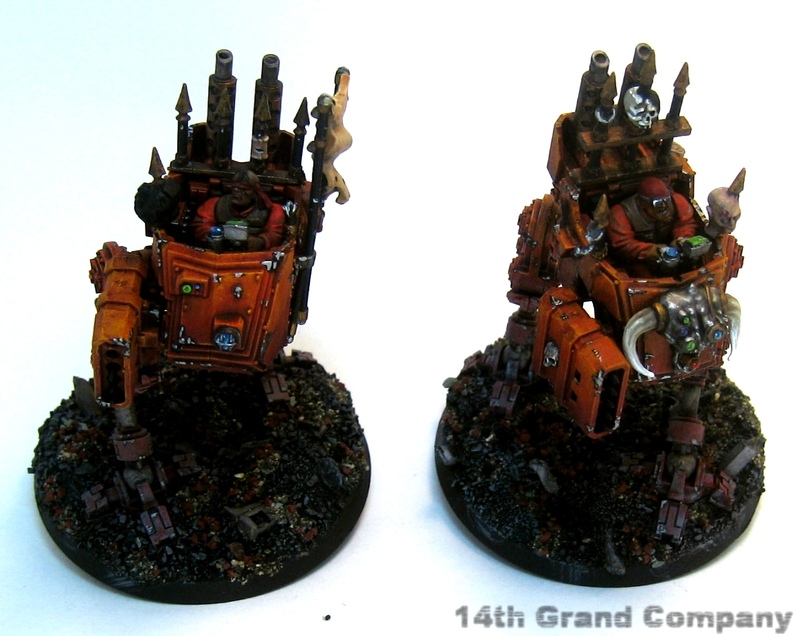 I have only two heavy weapon teams left for my traitor guard to paint but I just dunked a bunch of my old Iron Warriors into a Simple Green bath so they may be up next on the painting desk.